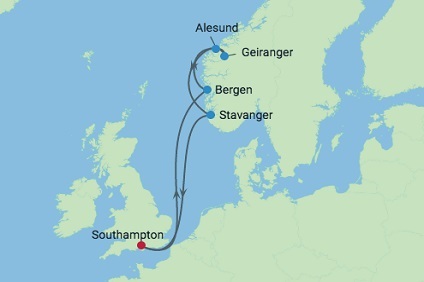 8 Night Cruise sailing from Southampton roundtrip aboard Celebrity Apex. 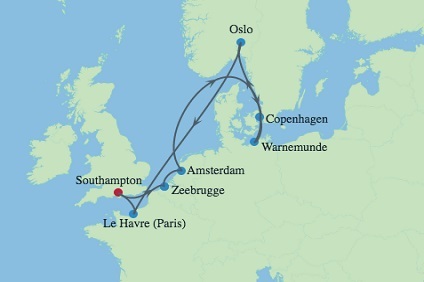 10 Night Cruise sailing from Southampton roundtrip aboard Celebrity Apex. 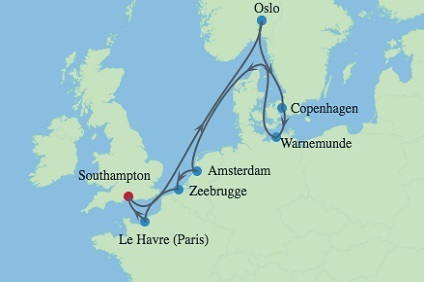 7 Night Cruise sailing from Southampton roundtrip aboard Celebrity Apex. 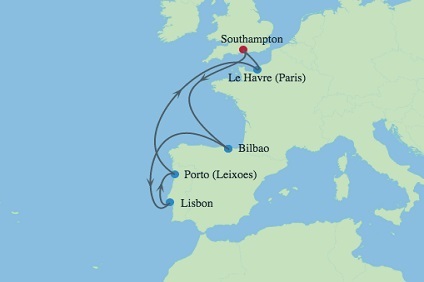 10 Night Cruise sailing from Southampton to Barcelona aboard Celebrity Apex. 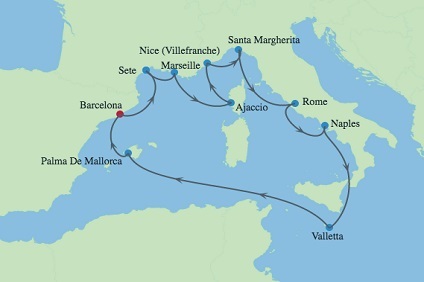 10 Night Cruise sailing from Barcelona to Rome aboard Celebrity Apex. 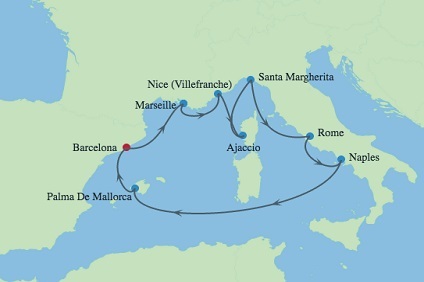 7 Night Cruise sailing from Rome to Barcelona aboard Celebrity Apex. 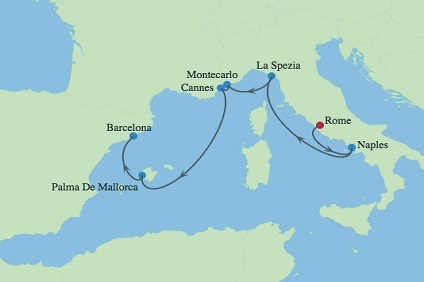 7 Night Cruise sailing from Barcelona to Rome aboard Celebrity Apex. 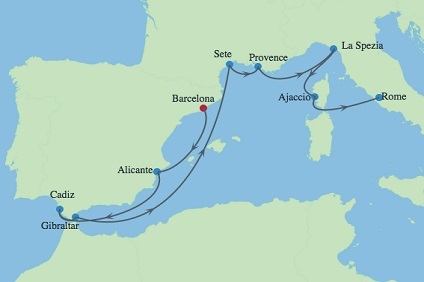 8 Night Cruise sailing from Barcelona roundtrip aboard Celebrity Apex. 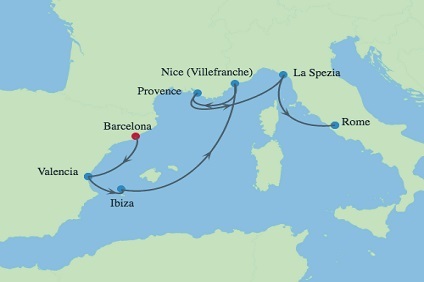 10 Night Cruise sailing from Barcelona roundtrip aboard Celebrity Apex. 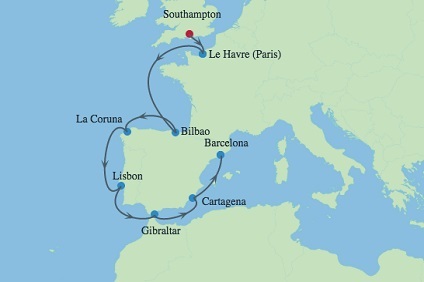 12 Night Cruise sailing from Barcelona roundtrip aboard Celebrity Apex. As an Iconic Suite guest, you’ll feel like you’re on top of the world—literally. Positioned high above the bridge, these all-new suites offer panoramic views from front to back. And with over 2,500 square feet of indoor and outdoor opulence, Iconic Suites are also the most luxurious and largest in our fleet. Edge Class Suites include indulgent Stateroom Class amenities plus some exclusives, including access to The Retreat Lounge, The Retreat Sundeck, and private dining in Luminae reserved for our Suite Class guests. With a variety of Celebrity Suites featuring different luxurious comforts, you’re sure to find a perfect home away from home at sea. Featuring a master bedroom, bathroom, and dressing room, living/dining area, guest bedroom and bathroom, terrace, and private hot tub, our Penthouse Suites even have an attentive butler on hand to ensure you never have to lift a finger during your vacation. Edge Class Suites include indulgent Stateroom Class amenities plus some exclusives, including access to The Retreat Lounge, The Retreat Sundeck, and private dining in Luminae reserved for our Suite Class guests. With a variety of Celebrity Suites featuring different luxurious comforts, you’re sure to find a perfect home away from home at sea. These six, two-story luxury residences are the first of their kind in the fleet. Each offers a spacious 950 square feet of split-level splendor, plus one bedroom and two bathrooms—perfect for up to four guests. In these private oceanfront villas, indoor and outdoor living is seamlessly blended, with two stories of windows that look out over the terrace and plunge pool to the incredible views beyond. Edge Class Suites include indulgent Stateroom Class amenities plus some exclusives, including access to The Retreat Lounge, The Retreat Sundeck, and private dining in Luminae reserved for our Suite Class guests. With a variety of Celebrity Suites featuring different luxurious comforts, you’re sure to find a perfect home away from home at sea. Unwind in a luxuriously large living and dining area featuring floor to ceiling panoramic windows, a master bedroom with Celebrity’s eXhale™ bedding featuring the luxury king-sized Cashmere mattress, a master bathroom with a large soaking tub, a separate shower, and a double sink vanity, and a spacious private veranda. No matter where you are in this suite, you’ll enjoy stunning views of the sea. Edge Class Suites include indulgent Stateroom Class amenities plus some exclusives, including access to The Retreat Lounge, The Retreat Sundeck, and private dining in Luminae reserved for our Suite Class guests. With a variety of Celebrity Suites featuring different luxurious comforts, you’re sure to find a perfect home away from home at sea. These two-room suites feature a large living and dining area with floor to ceiling panoramic windows, private veranda, and a master bedroom with a king-sized bed from our signature Cashmere Bedding CollectionSM. The split bathroom offers a powder room, a separate spa tub/shower area, and a master dressing area with dual sink and vanity. Edge Class Suites include indulgent Stateroom Class amenities plus some exclusives, including access to The Retreat Lounge, The Retreat Sundeck, and private dining in Luminae reserved for our Suite Class guests. With a variety of Celebrity Suites featuring different luxurious comforts, you’re sure to find a perfect home away from home at sea. Perfectly designed Sky Suite offer a blend of expansive views and intimate luxury. These large suites feature a king-sized bed from our signature Cashmere Bedding CollectionSM that faces outward for views of the great outdoors, a sitting area, with a signature Kelly Hoppen wooden rocker, and a spacious, private veranda. The split bathroom features a large spa tub with shower and a sliding panel that allows views to the room and the ocean beyond. Edge Class Suites include indulgent Stateroom Class amenities plus some exclusives, including access to The Retreat Lounge, The Retreat Sundeck, and private dining in Luminae reserved for our Suite Class guests. With a variety of Celebrity Suites featuring different luxurious comforts, you’re sure to find a perfect home away from home at sea. Stateroom Features All staterooms and suites come complete with private bathroom, vanity area, hair-dryer, interactive TV, radio and phone. W - Guarantee Deluxe Personal butler service. Luminae-private restaurant. Michael's Club-exclusive lounge. Spacious veranda. Priority check-in & debarkation. In-suite breakfast, lunch & dinner service. Complimentary daily in-suite espresso and cappuccino. Luxury Bulgari bath amenities & plush robes. Reserved theatre seating on select nights. King-sized cashmere Collection bed. Veranda with lounge seating. Mini-fridge. Stateroom 313 sq ft. Veranda 163 sq ft.
Stateroom Features Our signature friendly, personalized service with a guest to staff ratio of nearly 2:1. Twice daily service (makeup and turndown). Ice service on request. 24-hour room service. Robe and complimentary tote bag. Custom blended bath products (shampoo, conditioner and lotion), shower cap, cotton balls and cotton swabs. Water/wine glasses and hair dryer. Cashmere CollectionSM king-sized luxury mattress. Private mini-bar* and interactive flat-screen television system to view and select shore excursions, order room service, and watch movies. * Private safe and dual voltage 110/220AC outlets. *Additional charges apply. Z - Guarantee Inside Twice daily service (makeup and turndown). Celebrity eXhale™ bedding. Private safe. 24-hour room service. Private mini-bar. Complimentary tote bag. Custom blended bath products. Interactive Samsung flat-screen television. Personal veranda. New Cashmere Collection luxury king-sized mattress (except our 16 new Edge Single Staterooms with Infinite Veranda – they feature queen-sized beds) Two lower double beds convertible to King (except as noted). 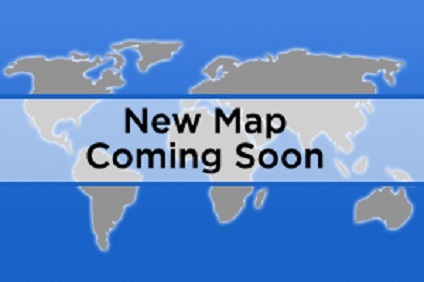 Some staterooms may have a trundle bed. Dual voltage 110/220 AC. Plentiful storage space in your bathroom and wardrobe. Smart TV. Individual safe. Mini-fridge. Stateroom: 181 sq ft.